← Cause We Don’t Want to Waste Shopping Time! We came in from Kevin’s double overtime winning game to this site. 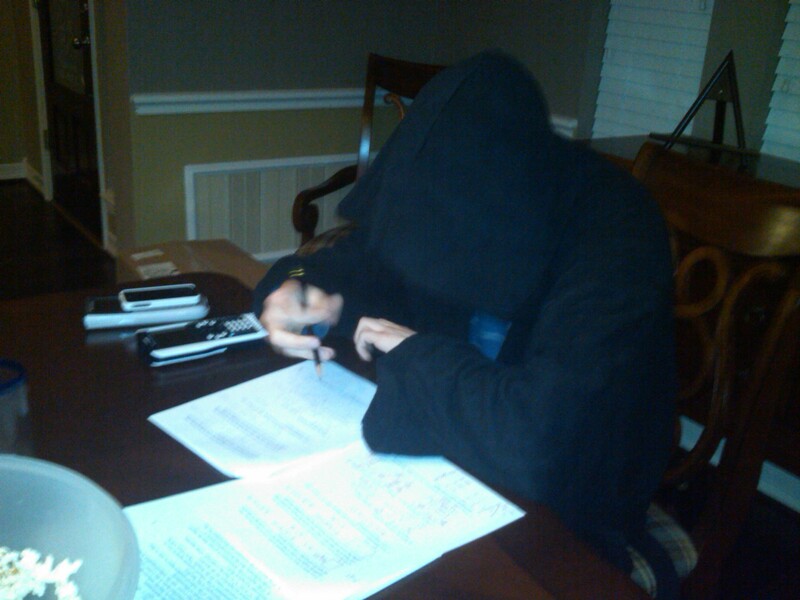 Every light in the dining room on including the china cabinet’s and Cole studying for his pre-calculus final tomorrow in his sith robe. And may the force be with him!